Recording made in response to public consultation results stating that there is increased traffic in Essex of recent years. Not my favourite recordings to make but interesting to see where new roads supersede old routes. Here I walked from Broomfield (see this post) along Mill Lane to its junction with Little Waltham Road and the now much built over Back Lane. This recording is made at its southern end which has been replaced with the new Essex Regiment Way, part of the main A130 route north/south through the county. 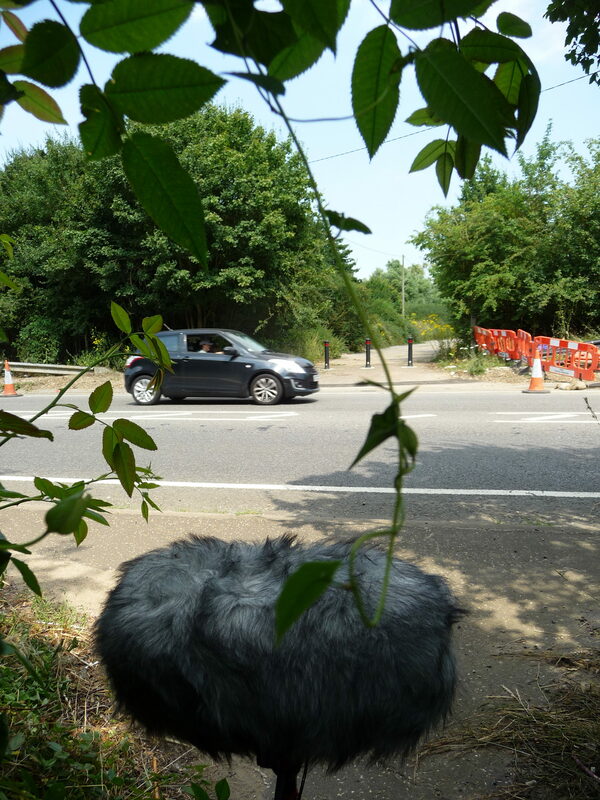 I thought this would be a reasonably sparse area in terms of people (not driving), but as it turns out the old route is reasonably well used… Firstly, two cyclists had to avoid, and then look rather inquisitively at the abandoned microphone and recorder (I was in the bushes, answering nature’s) until I appeared and took ownership of the items. Secondly, by the group of young people I had heard playing in the river a short while earlier, who were in search of more fields to play in.